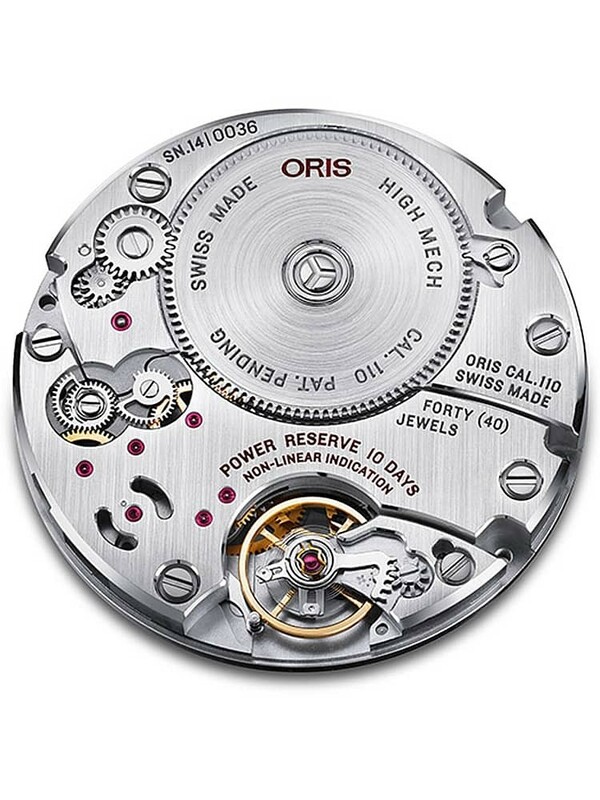 In honour of the 110th anniversary of the founding of Oris, the first inhouse-designed movement for 35 years was unveiled- the Calibre 110. 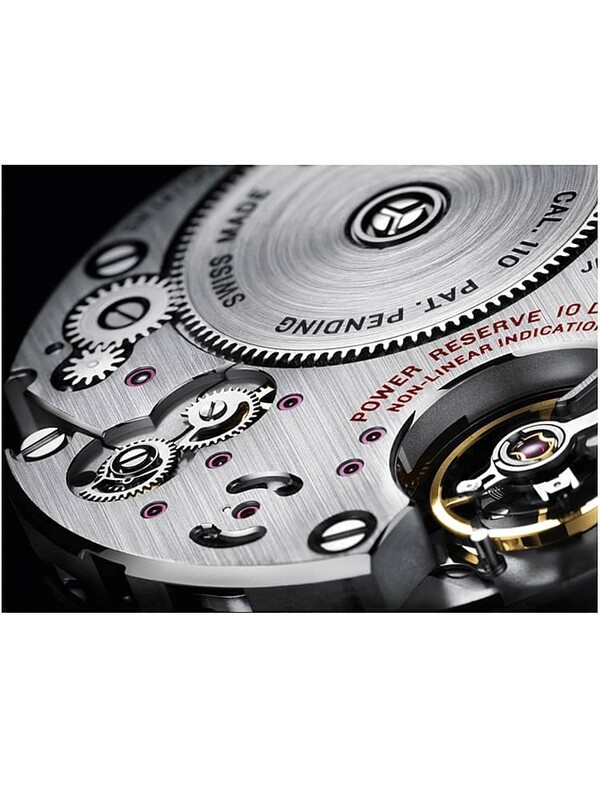 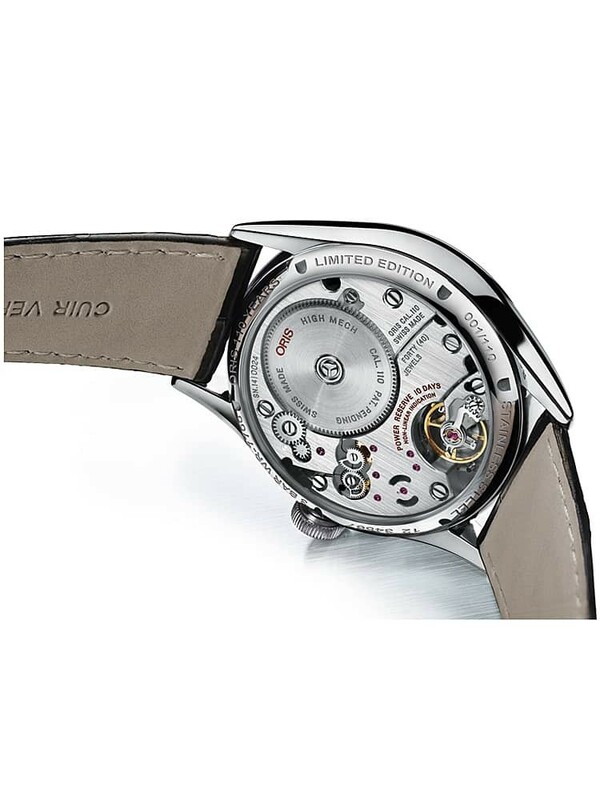 Combining a 10-day power reserve with a non-linear indicator dial at 3 o'clock, the silver dial also features the seconds subdial at 9. 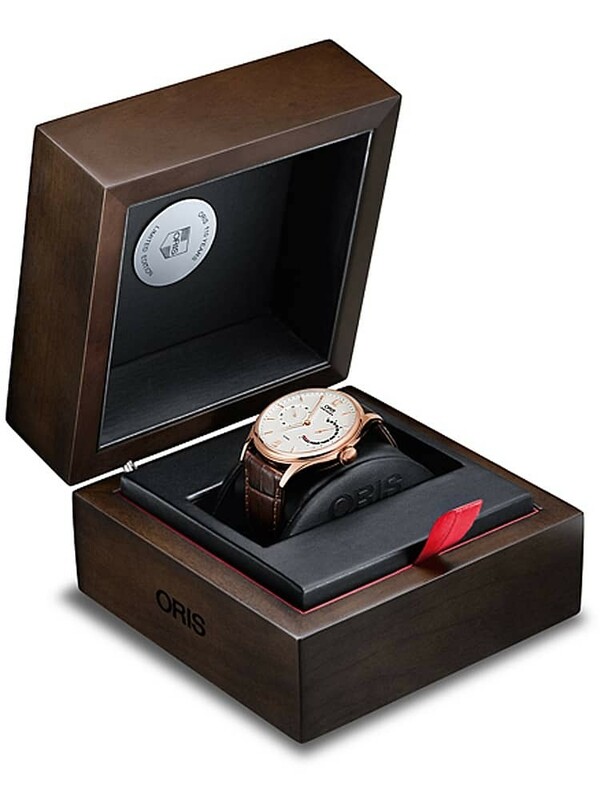 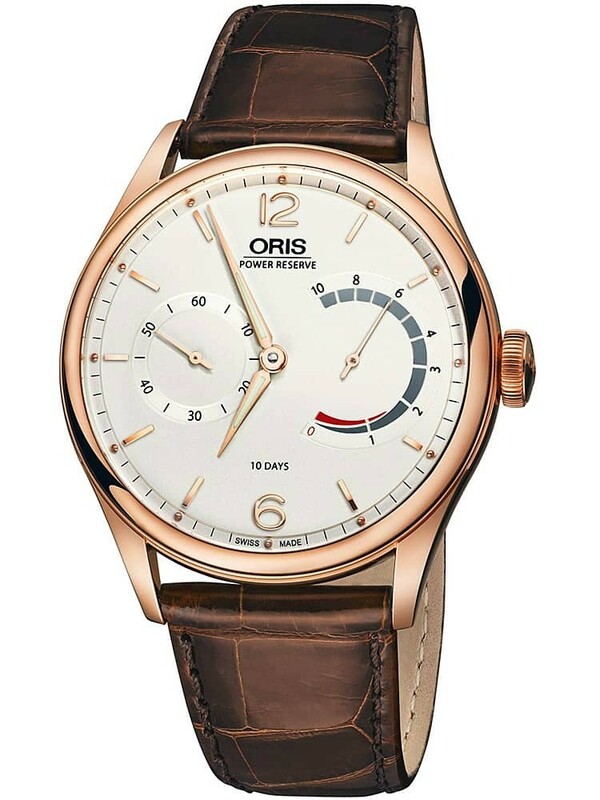 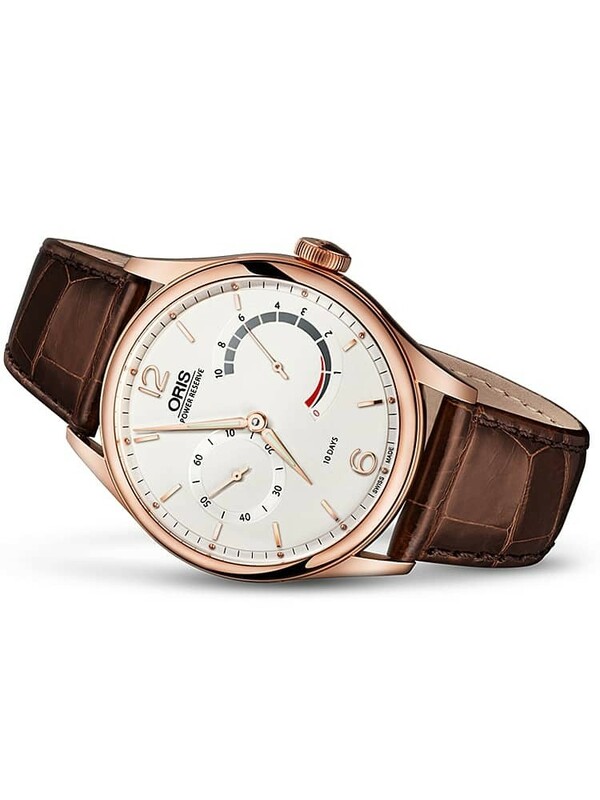 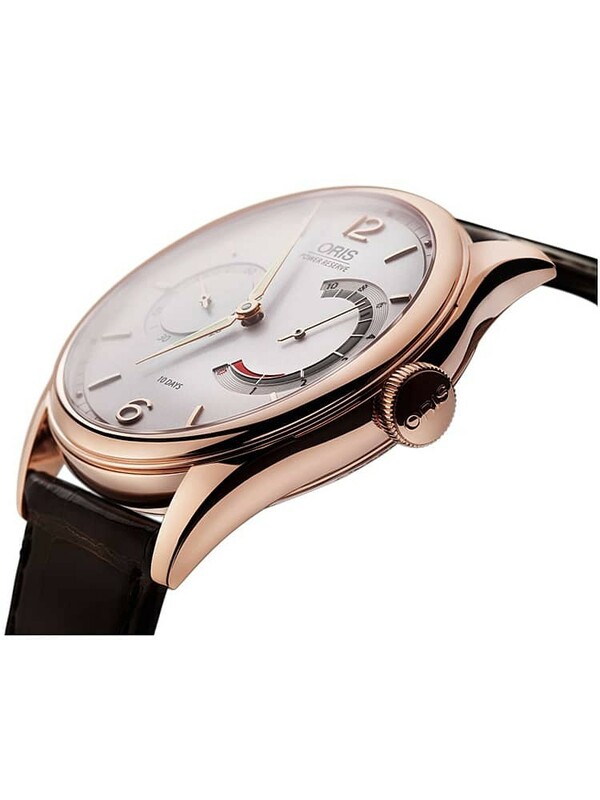 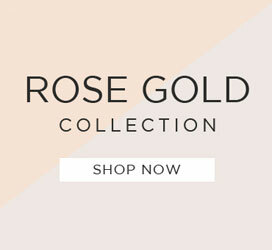 This classic 18ct Rose Gold design from Oris is fitted with a luxurious brown leather crocodile print strap with matching rose gold buckle.